After lots of talking in the last few months about new Android phone-tablet hybrid operating system, i am pretty sure that next couple of months will be the time for hardware issues, specially with processor. With the new Nvidia Tegra 3 CPU opening, the smartphone world is quickly moving on to the quad-core arena soon. After many Chinese quad-core mobile updates we now have the 1st glance of top branded mobile phone having Android on the heart. We just received the first Nvidia Tegra 3 quad-core CPU running HTC Edge leaked images. Each of the four Tegra 3 cores of the HTC Edge will be clocked at 1.5GHz. With this monster you have 1 gigabytes of RAM along with 32GB of built-in memory. The device will offer a 4.7" screen with HD resolution of 1280 X 720 pixels. An 8MP camera unit with f/2.2 lens (as seen on iPhone 4S), capable of capturing 1080p videos will be present as well. Bluetooth 4.0 is expected on board, along with the rest of the usual connectivity. The HTC Edge only capable of 21Mbps HSDPA network speeds until now. But i am sure that a LTE capable HTC Edge US version will be coming at the same time. 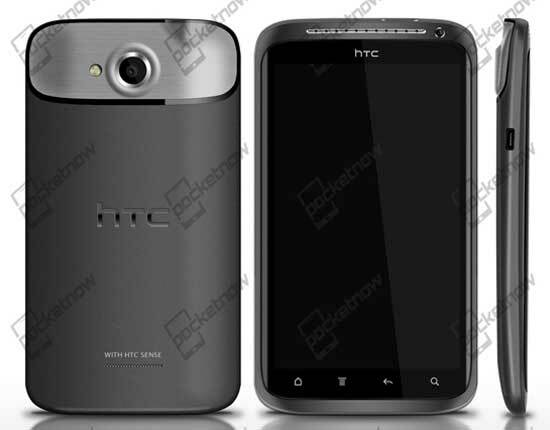 A number of new HTC content services are also expected with Android 4.0 Ice Cream Sandwich inside HTC Edge. The HTC Edge is expected to hit the market in late Q1, or early Q2 of next year. But i having nothing on my sources about the price of quad-core HTC Edge. So wait a while friends.